What a delightful surprise to spend an amazing afternoon learning about Kurdish cuisine at Niroj in Agoura Hills from owner Luqman Barwari. Lugman and his staff work with local growers to provide the finest in produce, along with fine meats to create authntic Kurdish dishes. We were all astounded by the home-made nan, lavosh and breads served fresh from Lugman's ovens. The mezze platter was one of the most versatile, colorful and fantastic I have ever tasted. These dishes are slightly familiar in a typical middle eastern sense, but Kurdish cuisine has specialties that are uniquely different than anything any of our group had tasted previously. My favorite surprise was the Delightful Dew (yogurt drink) that was sweet, salty and delicious. This authentic beverage combines ice, yogurt, mint, salt and honey; really delicious! I will order this again as soon as possible! Notable entrees at Niroj included Riha chicken, Mele Gej, and lamb Tawe. The dishes were all flavorful with tender chicken and meat. The kibob of shrimp and beef melted in the mouth, and the lentel soup, rice, spinach and vegetable dishes were very flavorful. Niroj serves a buffet each day for lunch that changes often and offers a varied collection of their delicious Kurdish favorites. The main dining room is perfect for lunch or dinner, and live entertainment is available for special events. The lounge is decorated with imported tables and art, and is a fabulous spot to enjoy appetizers and cocktails befor dinner, or just relax on pillows and fill up on a variety of magical small plates with outstanding breads. Their wine menu offers wine from Turkey, Armenia, California and Lebanon, along with and imported beers. Sinful endings include a collection of wonderful desserts to enjoy with Kurdish coffee or tea. 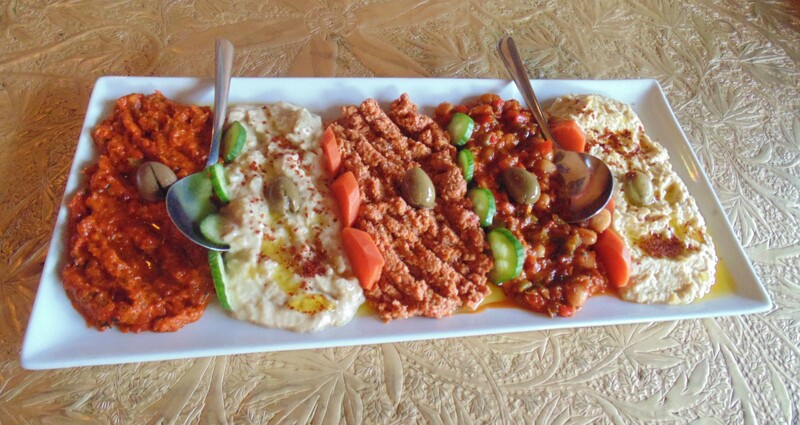 Do treat yourself, friends and family to a delightful experience of Kurdish cusine at this charming hidden venue in Agoura, where service and kindness is number one, and the dishes are outstanding at reasonable prices. E-mail: info@nirojcuisine.com 30313 Canwood St. RESTAURANT NEWS . . . So now is time to enjoy Perigord black truffle! Series for the holiday season are on December 10 (sold out), December 11 (sold out), December 12, and the RSVP is now open. Enjoy 10 courses of black truffles, including first-of-the-season black Perigord truffle. Seats will be $160 a person. December 12, and the RSVP is now open and use the link below or Reserve your desired date on our online form . Can't wait to see you all! Gift and eat Foie Gras for your holidays! We're filling orders left and right for our house-made Foie Gras jars. These are just perfect for gifts and holiday parties Contact us to place your order! Celebrate with us the traditional "Galette Des Rois" event at Etchea on Hope Street taking place on January 5 and 6. 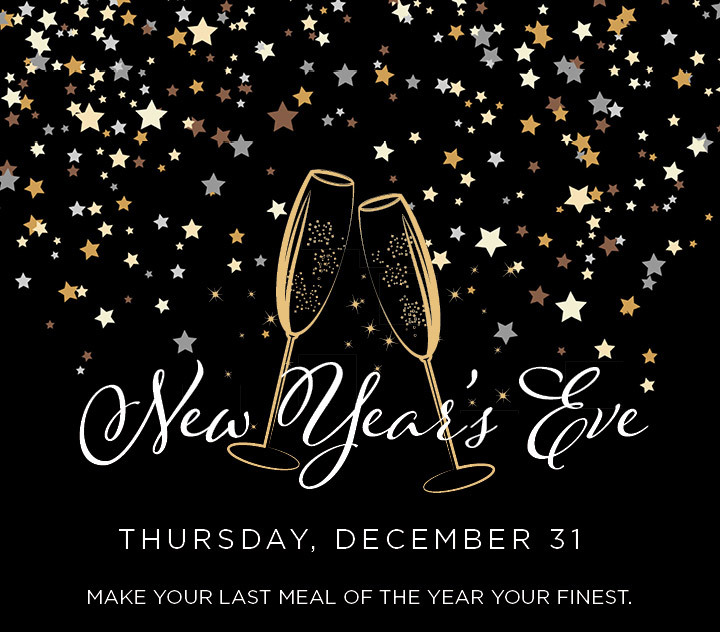 We will be serving Cold poached Maine Lobster, Lamb Shank, flageolet beans, and the "Galette". Who will be the kings and queens of the evening?!?! - hurry up for tickets and details Etchea on Hope Tickets "Galette des Rois"
MaMaison Supper Club: December 20 & 21 22 (20th 21st 22nd sold out)- Winter Series - new dates january 22 & 23 are open. Pacific Lobster - "bourride" style - Celery Root risotto - "Tompette de la Mort"
Black Tea, Pistachio & Chocolate "declinaison"
Suggested $120 per person donation. Enjoy wine pairing of 9 glasses for $45. WE ARE GRADUALLY PHASING OUT OUR CURRENT RESERVATION SYSTEM TO UNIVERSE TICKETS SYSTEM. AFTER SO MANY NO SHOWS, SO MANY LAST MINUTE CANCELLATIONS WE HAD TO DO SOMETHING. UNIVERSE IS VERY EASY TO USE AND FOR THOSE WHO JUST LIKE THE OLD WAY WE WILL STILL ACCOMMODATE FOR A WHILE BY USING OUR MAIN EMAIL LQ@BISTROLQ.COM AND THE LINK ABOVE. THE LINKS BELOW ARE ACTIVE SO IF YOU FEEL YOU CAN MANAGE AND TRY OUT OUR NEW SYSTEM PLEASE FEEL FREE. 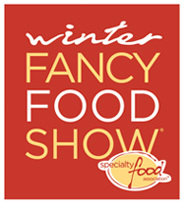 WFFS16 is the largest specialty food trade event on the West Coast and a showcase of industry innovation, bringing specialty food's top manufacturers, buyers, and thought leaders together under one roof for three days of delectable discovery, January 17-19. 2016 will feature more than 80,000 products, 19,000 buyers, and 1,400 exhibitors!